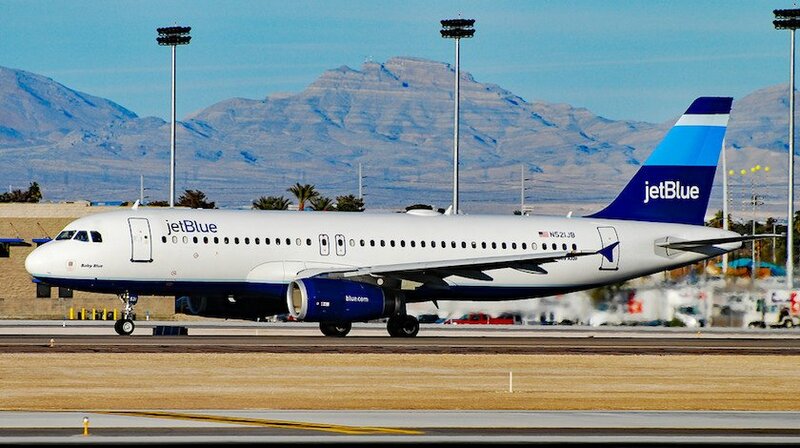 A Jetblue Airbus A321-200, performing flight from Las Vegas to Boston (USA), was accelerating for takeoff from runway when the crew rejected takeoff at low speed (about 80 knots over ground). Crew advised they needed emergency services to verify there was no right hand engine (V2533) fire. Tower advised there was smoke coming from the right hand engine. Emergency services responded. The airline reported the aircraft experienced smoke coming off its right engine before takeoff, the smoke was quickly suppressed and the aircraft taxied back to the gate where passengers disembarked normally.